City Developments’ 2Q/1H18 results in line; special interim DPS of 6 Scts declared. Strong residential profit recognition in 2Q; new launch plans for 2H. Strategic plans to expand recurring EBITDA to S$900m over the next 10 years. Maintain ADD with unchanged Target Price of S$10.89. City Developments’ 2Q18 PATMI rose 79.5% y-o-y to S$205m on a 59% y-o-y jump in revenue to S$1.36bn. For 1H18, PATMI rose 35.8% y-o-y to S$284m, in line at 48% of our FY18 forecast. The improved performance came largely from residential activities, which accounted for 78%/57% of 2Q/1H18 PBT. A special interim DPS of 6 Scts has been declared. Boost in residential contributions came from profit recognition from Singapore projects, such as New Futura (74% sold, ASP S$3,500psf), Gramercy Park, Hong Leong City Centre P2 in Suzhou and Park Court Aoyama The Tower Tokyo (85% sold). Whilst The Tapestry is 57% sold to-date (ASP S$1,350psf), profits have yet to be recognised. We anticipate residential contributions to remain fairly robust in 2H with the anticipated recognition of remaining presales at New Futura. In all, City Developments sold an additional cS$0.5bn worth of residential units in 2Q, bringing 1H sales value to S$1.29bn. As management adopts a more cautious stance, post cooling measures, the group plans to roll out the 716-unit Whistler Grand in 4Q18, Amber Park, Handy Rd and Sumang Walk EC, totaling 2,316 units, in 2019, and is reviewing launch plans for high-end projects, such as South Beach Residences and Boulevard 88, which were originally scheduled to be marketed in 2H18. The 240-unit Teddington Riverside development in UK is also scheduled for launch in Sep 18. City Developments’ office/retail portfolio occupancy is relatively stable at 91.9%/96.1%. The ongoing S$70 AEI for Republic Plaza, expected to be completed by 2H19, should enable it to better leverage the rising office rental market. To build on this income stream, it has invested in a Rmb148m office property in Shanghai and plans to acquire another S$300m of office assets. Meanwhile, City Developments’ hotel PBT fell 48% to S$36m in 2Q on a 3% decline in revenue due to challenging operating conditions in the UK and reduced contributions from the phased closure of Millennium Hotel London Mayfair. This hotel will undergo a £40m makeover to be repositioned into the group’s flagship property in 1Q19. There are also plans for a 2- year US$80m capex to upgrade its New York hotels. 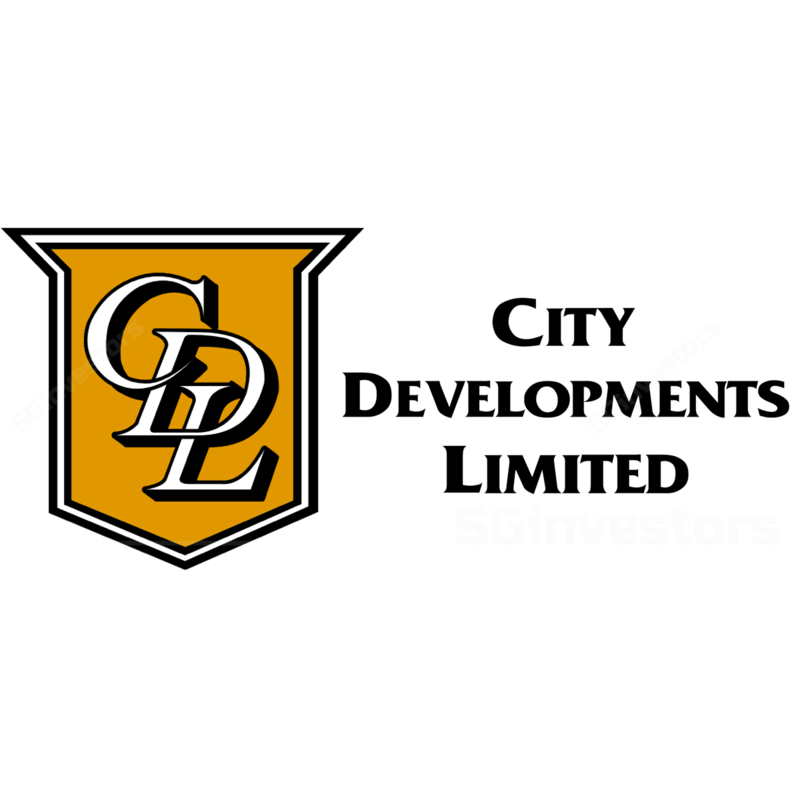 City Developments has outlined strategic plans to grow, enhance and transform its asset portfolio and business operations, including improving asset management activities (including AEIs) to increase yields of existing properties and strategically investing in enterprise-driven initiatives. It has set a 10-year target to achieve a SS$900m recurring EBITDA vs. S$599m in FY17, to be driven by growing fee income and new capital deployment. We maintain our estimates and S$16.76 RNAV. Our Target Price is pegged at a 35% discount to RNAV. At end-2Q, balance sheet was robust with net debt-to-equity of 0.19x. Re-rating catalyst: a pick-up in Singapore’s residential market or deployment of balance sheet into new, value enhancing investments. Downside risk: slower-than-expected capital deployment.